South Denton, DCP, Zealandia, Jul 11 – An investigation has been launched into election campaign material produced by Social Democratic Party Parliamentary Leader Joseph Puglisi after he produced posters and a video that breached two sections of the Elections Act 2010. 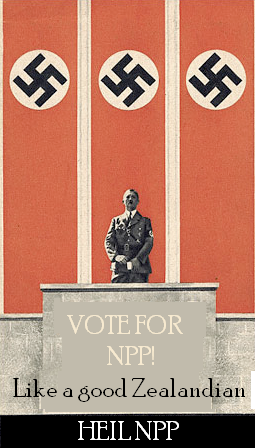 HEIL NPP: One of the posters which was included in an official complaint to Elections Zealandia. Campaign Materal must not manifestly upset sections of the community. Siroccan Premier Daniel Anderson, who leads the conservative party, lodged an official complaint this evening with King Anthony of Zealandia, who passed it onto the Royal Zealandian Constabulary. The RZC have decided to investigate seven breaches of the Elections Act 2010 including six posters and the one video. Their ruling was that Mr. Puglisi was to apologise for his actions and for the distribution of the posters to be prohibited throughout Zealandia save for news articles. Anderson is understood to have been personally offended at the posters, which suggested that he is of a neo-Nazi character, which he says is completely untrue. 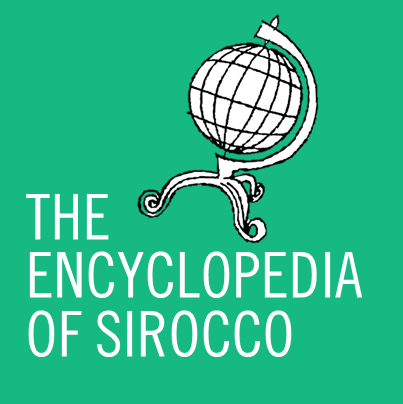 Mr. Puglisi could not be reached for comment by the Sirocco Times. …What? If you’re complaining about me, then you’ll have to expand that to Riley Small and Anton Larsson for one. Secondly, it’s not as if this doesn’t compare to some of your comments on Socialism, and for that matter I’m pretty sure that both of us have been called a fascist in jest before. Strange that you make a big deal out of it during elections, eh? Thirdly, chill out, others were doing it, these weren’t made public and if anyone is doing a “smear campaign”, it’s you.